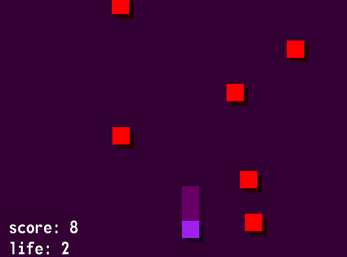 In this small game you control a purple square, ready to defeat the red evil squares! Grab a red square and throw it back at another red square to defeat both! Just look out for the brown squares, because these are your friends, so don't throw anything at them.